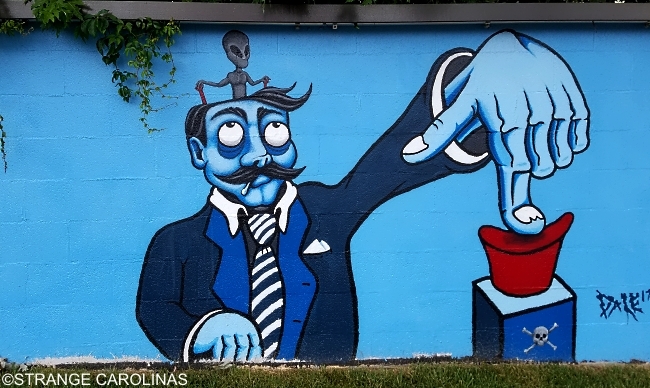 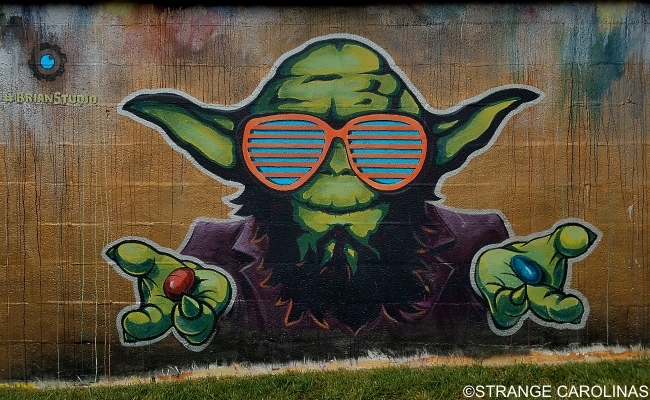 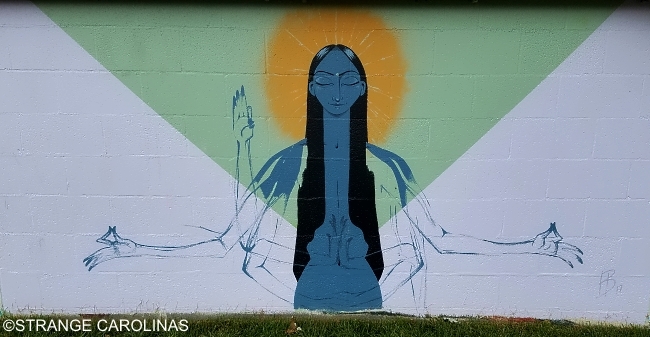 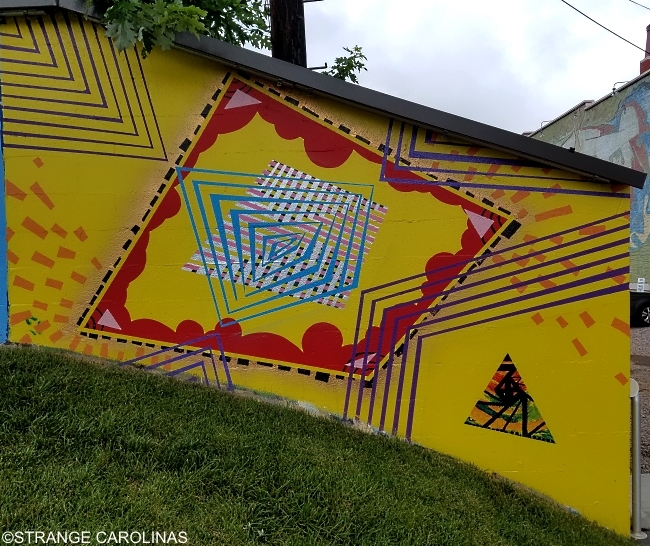 On May 6, 2017, Art For Art's Sake brought eleven talented muralists to downtown Winston-Salem's Artivity On The Green to paint the wall at the back of the park. 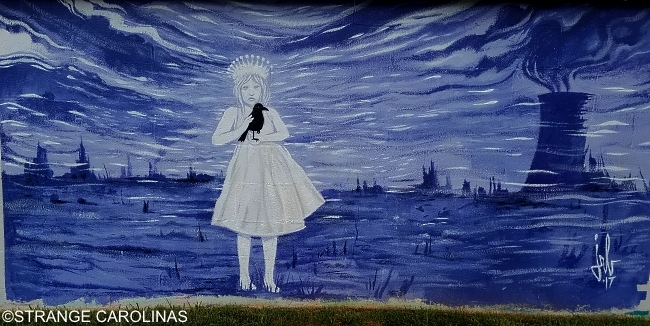 On hand were Holland Berson, John Blackburn, Ian Bredice, Johnny Brown, Gus Cutty, Brian Davis, Joe Dobson, Andrew Fansler, Dale Ladd, and Miss Lotus. 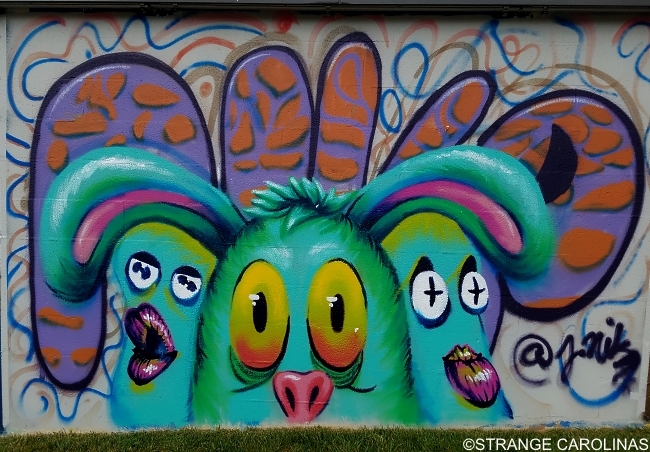 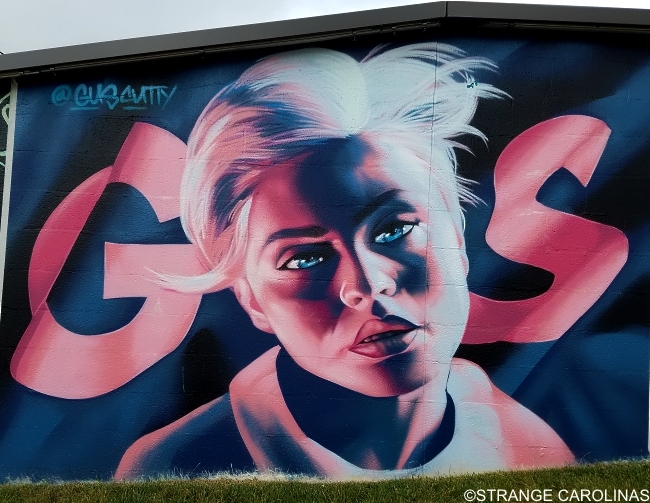 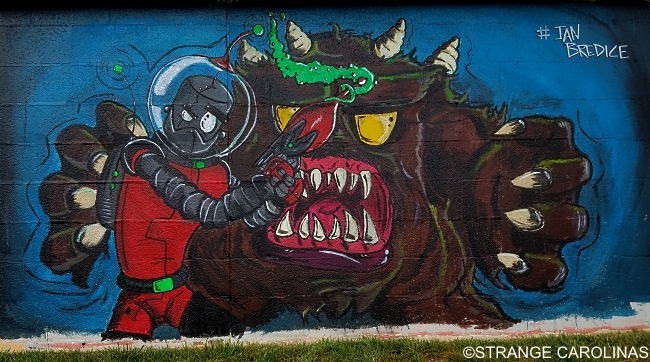 While we weren't able to make the event, which also included bands and a dance festival, we were able to check out the murals in early June and can tell you they're all awesome!